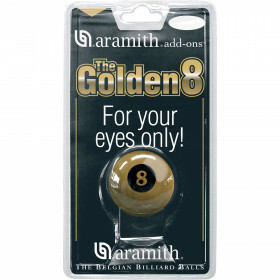 This set of British style 2-1/16 regulation snooker balls comes complete with fifteen red balls, unnumbered colored balls two through seven and plain cue ball in a silver protective hard case. 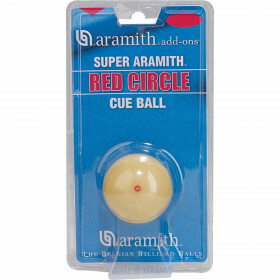 Aramith produces some of the highest quality balls on the market today. 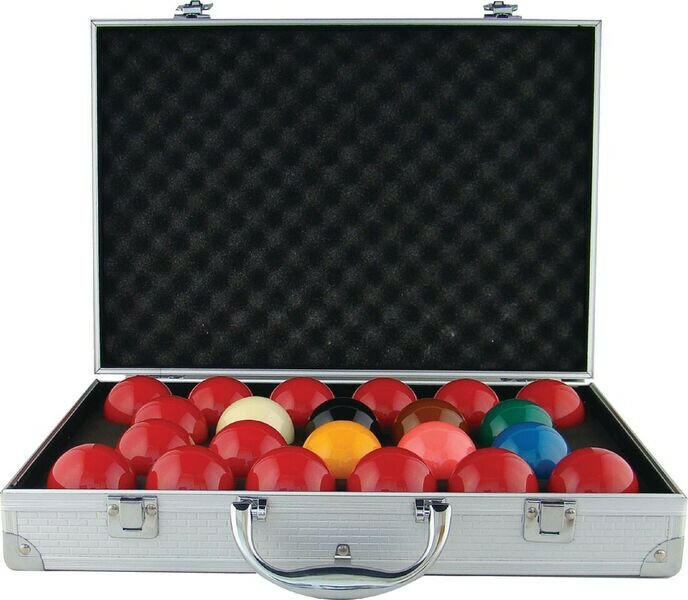 This ball set meets all professional quality specifications for density, balance, diameter, roundness, color, gloss, hardness and weight. 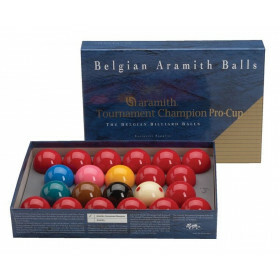 Aramith Belgian balls also have outstanding endurance through a hardened vitrified surface with an ultra-high density for exceptional scratch and impact resistance. 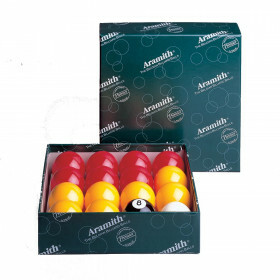 These sets are quite special: while their packaging and design make them look pretty like the regular Aramith Tournament Champion snooker sets, they are in fact drastically different and allow the W.S.A. professional players to reach the highest scores during the W.S.A. competitions. 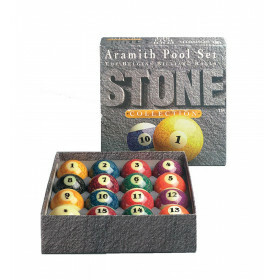 The main characteristic of this set is the maximum weight tolerance allowed : while the maximum weight difference between balls in a regular Aramith Tournament Champion snooker set (or a Super Crystalate snooker set) is 3 grams (official specifications), the maximum weight tolerance of our special W.S.A. set is only 1 gram. This set is now also supplied to the I.B.S.F. (International Billiard and Snooker Federation) representing the amateur players worldwide and is the official set for all I.B.S.F. tournaments. During the last World Cup organised in Damascus in December 2010, a player made a score of 147 with it. 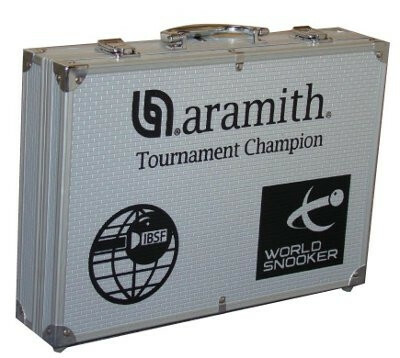 Now this specific and exclusive set is available to the general public under the name "Aramith Tournament Champion Super Pro 1G". It is supplied in an elegant and sturdy Aluminum ball case with the W.S.A. and I.B.S.F. logos.